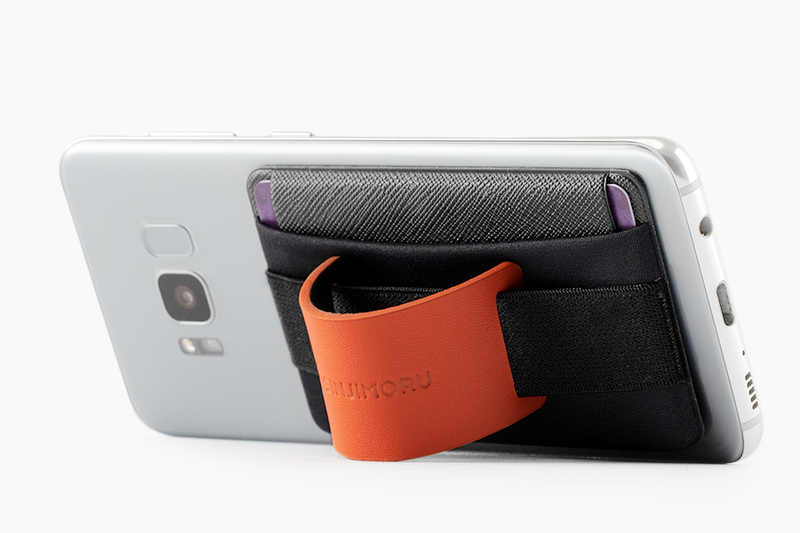 The new Band Grip Design has the basic function of all our pouches since it can store credit cards safely. 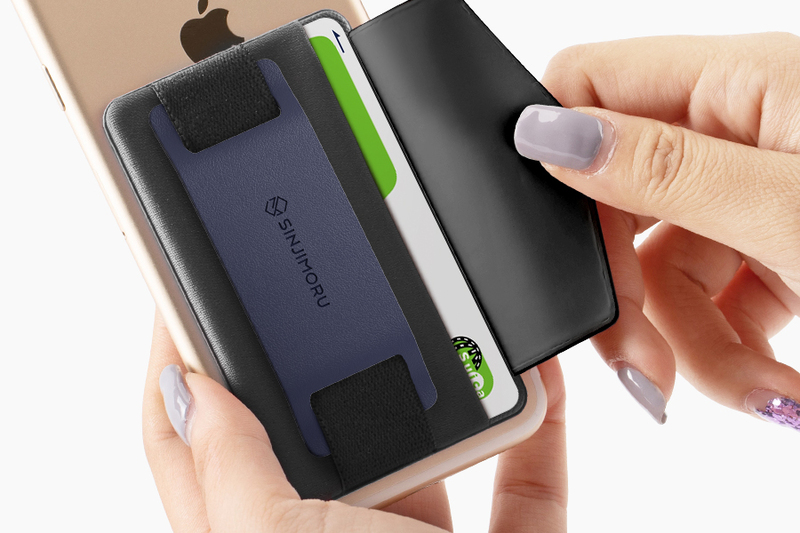 In addition to that it protects the cards even better and can also be used as a phone grip and stand! 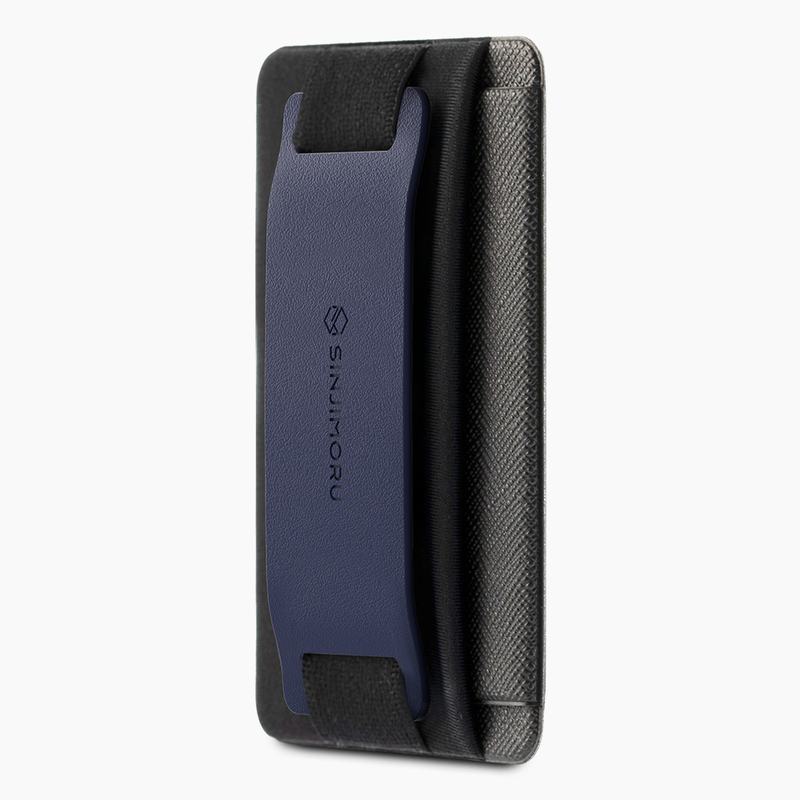 The elastic band ensures a good grip on your phone while the leather pad functions as phone stand. With the added Flap you can close the pouch and protect your cards. Meet the newly released and multi-functional Sinji Pouch Series. 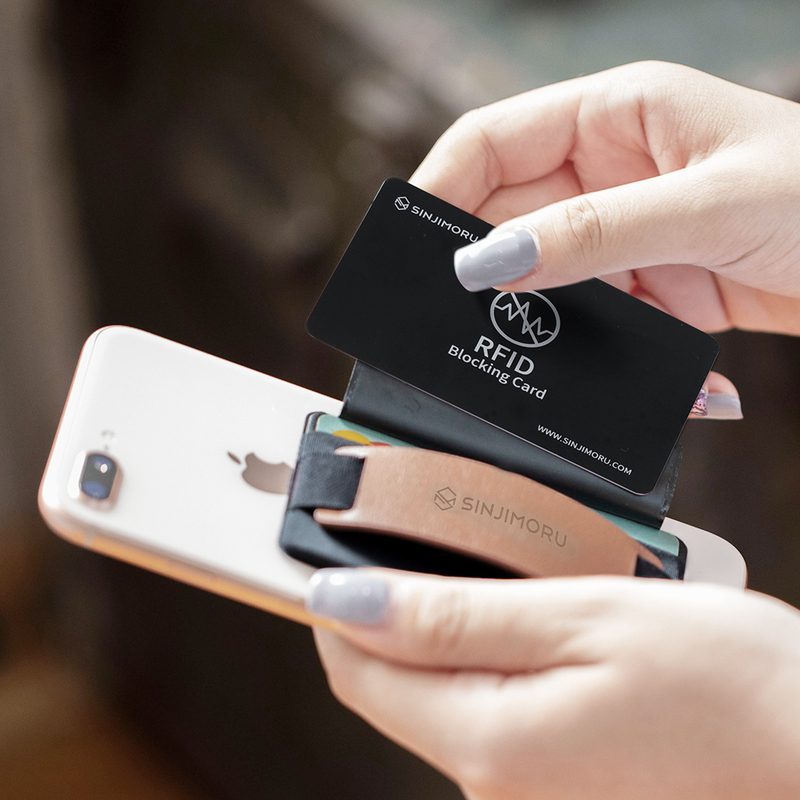 Sinji Pouch Band Grip comes with an attached Flap which protects your cards from falling out as well as private information from being exposed. 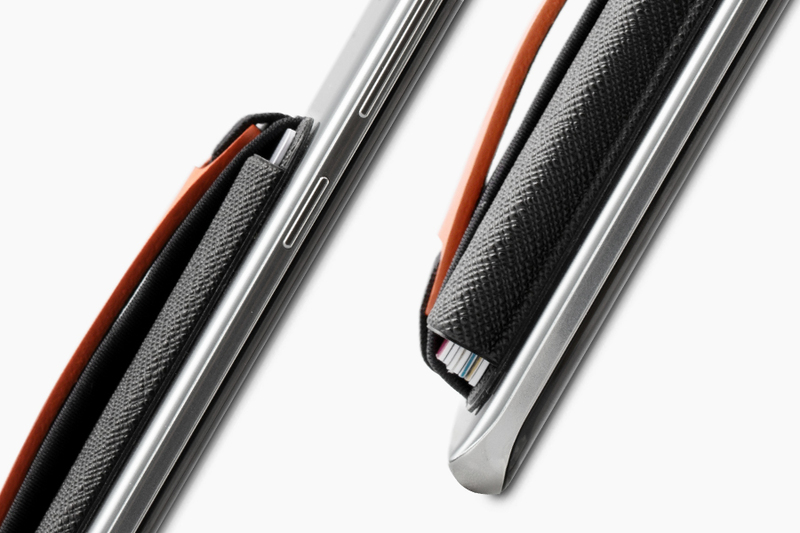 The highly elastic band will wrap tightly but comfortably around your hand so you don't drop your phone. The band will not break or loosen easily. You can store between 1 to 7 cards safely in the Pouch. Alternatively you can also keep cash or small business cards safe with you at any time. 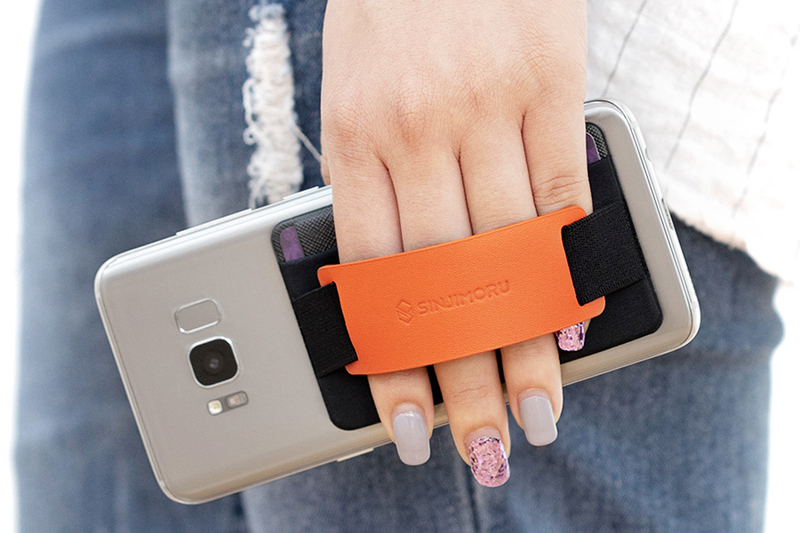 The leather pad that is attached to the band does not only give a hint of color to the design, but it can be arched in order to use it as a phone stand on the go! 1. 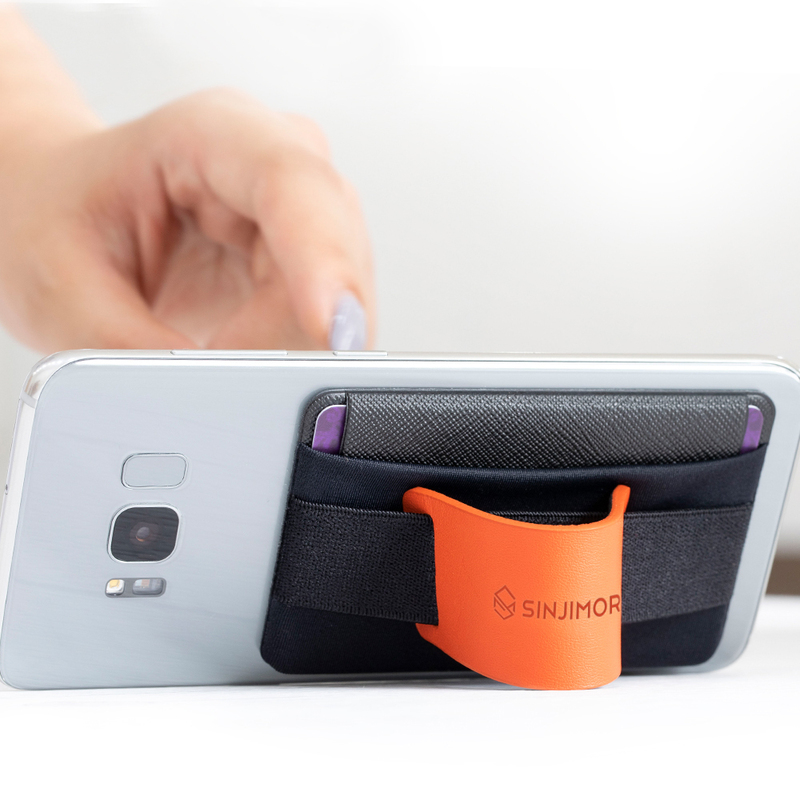 Remove the protective film from the 3M Tape on the back of Sinji Pouch Band Grip. 2. 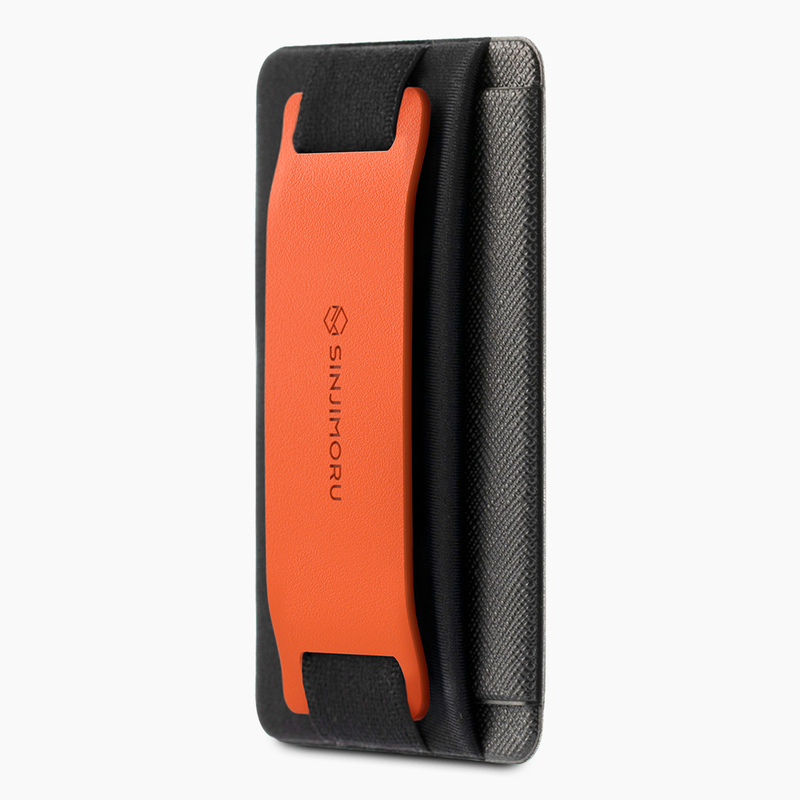 Attach Sinji Pouch Band Grip to the back of your smartphone or case. 3. 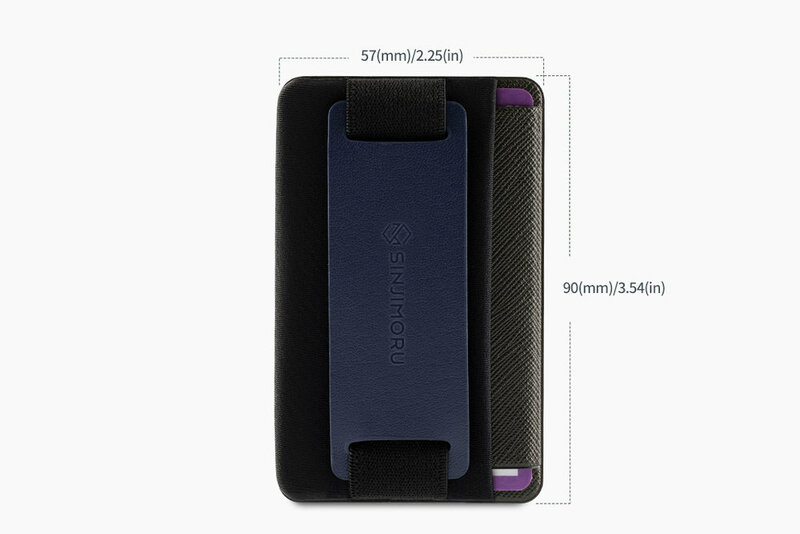 Open the Flap of the pouch and store your credit card, ID card or cash safely. 4. Close the Flap for best protection. - The adhesive strength of the double sided 3M tape reaches 50% of its maximum strength after 20 minutes, 90% after 24 hours and 100% after 72 hours at room temperature. - The double sided 3M tape cannot be reused once it has been attached to a surface. - The adhesive strength may be reduced for smartphones that have a glass back such as iPhone X or Samsung Galaxy S9. Moreover, the tape will not stick well to leather, curved or other textured materials. 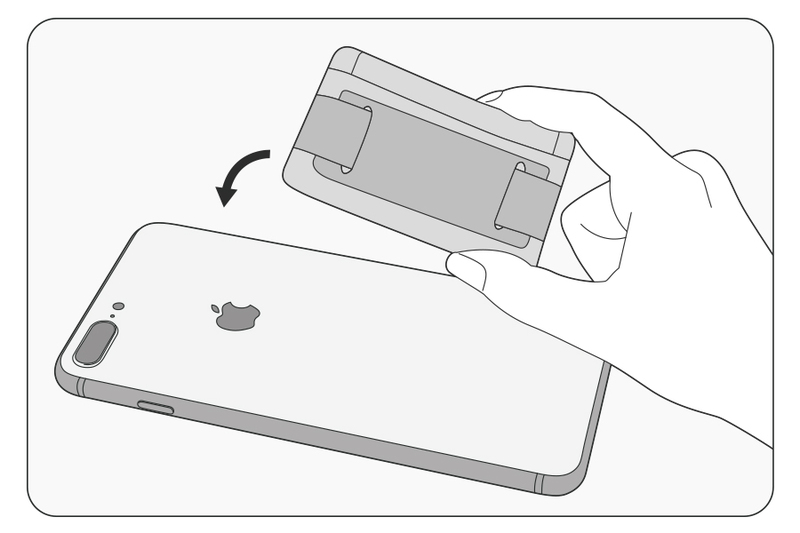 It is recommended to use a phone case that is suitable if you have a glass back phone.